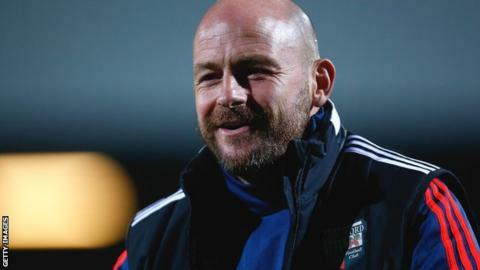 Lee Carsley will be in charge of Brentford for Monday's trip to Bolton Wanderers in the Championship. The 41-year-old had said that last weekend's match at home to Nottingham Forest would be his last as head coach. Carsley has won five of his nine games in charge since replacing Dutchman Marinus Dijkhuizen, who was sacked on 28 September. Former Everton midfielder Carsley said he did not want the job long-term after taking over at Griffin Park. Carsley had expected the Bees to make a managerial appointment this week, with Swansea assistant manager Pep Clotet linked with the job. "That was the last game for myself," Carsley told BBC Radio London after the Bees beat Forest 2-1 last Saturday. "I am going to miss all this. It has been a fantastic couple of months. "My plan is to make sure the new manager settles in and knows that I am there to support him." A statement on the Brentford website said the process of appointing a new head coach had taken "longer than expected". "Lee's comments were made in good faith based on the conversations we held last week," Brentford co-director of football Phil Giles said. "Circumstances this week have meant that we haven't been able to make the change as originally anticipated. "We will continue with our process to find the right long-term head coach for Brentford, rather than make a hasty appointment."